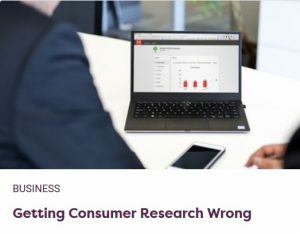 In an new article for The Research Insighter, Steve Mast, our President and Chief Executive Officer, takes a look at marketing failures and why so many brands today are getting their marketing research wrong. If anything, these marketing failures magnify the primary challenge facing brands today — they are being inundated with customer data. To put this in perspective, Home Depot models 1.7 trillion data points a week to power its marketing efforts. While an overload of customer data, in itself, might not seem like much of a problem, companies are struggling to keep up with the research demand crunch, let alone trying to get ahead of it. Most scenarios go something like this: organizations want more decisions to be supported by data, which puts enormous pressure on their understaffed research and data analytics teams. And we all know that placing the entire burden of an organization on a handful of staff is a recipe for disaster. To read the full article, visit The Research Insighter.